• information that you provide to us for the purpose of registering with us and/or subscribing to our website services and/or email notifications. SicilyByExperts by White Passion Sicily may collect information about your computer and your visits to this website such as your IP address, geographical location, browser type, referral source, length of visit and number of page views. We may use this information in the administration of this website, to improve the website’s usability, and for marketing purposes. • send you marketing communications relating to our business [or the businesses of carefully-selected third parties] which we think may be of interest to you by post or, where you have specifically agreed to this, by email or similar technology (you can inform us at any time if you no longer require marketing communications to be sent by Emailing us. • provide other companies with statistical information about our users – but this information will not be used to identify any individual user. We will not without your express consent provide your personal information to any third parties for the purpose of direct marketing. 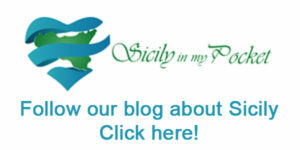 You can contact us by Email at following Email address: info@sicilybyexperts.it.